Tetsuya Komuro has been accused of cheating on his wife KEIKO. Following these rumors, Komuro has decided to retire from the music industry. The press conference was held on January 19th in Tokyo. Reporters gathered in a plain room, where Komuro dropped the surprising announcement. 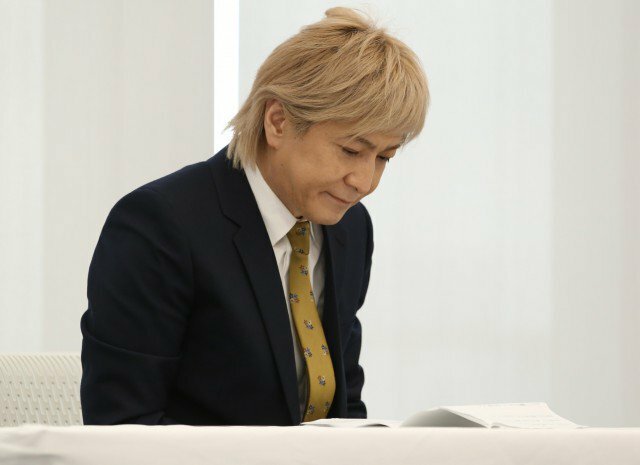 "I apologize for worrying my wife KEIKO, my family, my fans, and my staff due to the news reports that have come out," Komuro said. After his statement, he went on to say he'll retire from the industry. Despite retiring, Komuro has not admitted to cheating on his wife with another woman. Earlier this week, Shukan Bunshun published a report about Komuro spending a night with a woman. The two allegedly met in mid-December in the woman's house and then in early January at a luxury hotel. KEIKO and Tetsuya Komuro were previously part of the 90's group globe. The couple married in 2002, with Komuro being regarded as one of Japan's most well-recognized producers. On October 24, 2011, marked the day when KEIKO was hospitalized and diagnosed with subarachnoid haemorrhage. Even to this day, KEIKO is receiving periodical treatments for the condition. She's currently in her hometown in the Oita prefecture for rehabilitation purposes. The timing of the report about Komuro cheating coincides with KEIKO disappearing from Twitter, where she previously was an active user.